When we think of “divides,” many of us think of a familiar story, one that we hear in conversations with neighbors, see on the Internet, and read in the news. It goes like this: we are a nation, a state, a community divided—politically, racially, ethnically, economically, geographically, and generationally. But the truth is more complicated. At Oregon Humanities, we want to explore those complexities and more. How are we divided by our life experiences and circumstances? How are we connected? And what are the unexpected ways we might come together to create stronger, more resilient communities? Bridging Oregon seeks to answer these questions by convening groups of individuals in multiple regions of the state to talk together about the fractures and connections we experience in our communities. Participants take part in four half-day gatherings to explore topics relevant to local and regional communities, address how our differences and our perceived and real divides inform our experiences, and learn how to facilitate challenging conversations in personal and professional networks. Bridging Oregon was launched in 2018 by Oregon Humanities, with generous support from the Oregon Community Foundation, The National Endowment for the Humanities, and other partner organizations. The first two Bridging Oregon cohorts took place in Central Oregon and Southern Oregon in 2018. 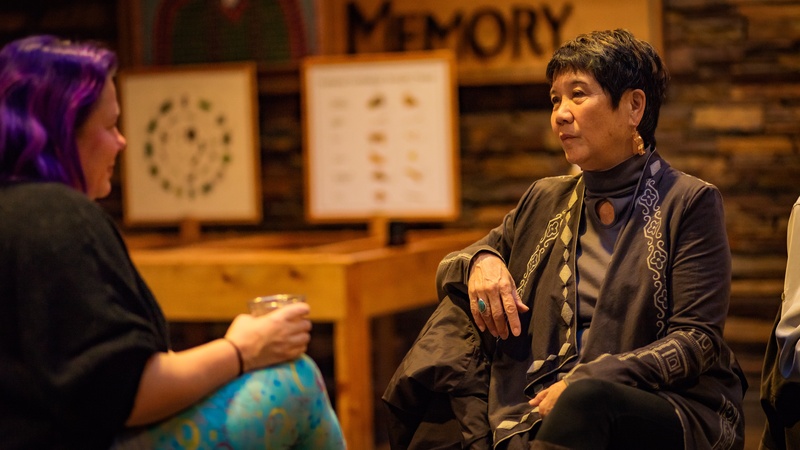 In 2019, Oregon Humanities will expand this initiative to communities in other regions of the state, first in the Columbia River Gorge and then in Eastern Oregon. If you have questions about this program please contact April Slabosheski at (503) 241-0543, ext. 123, or a.slabosheski@oregonhumanities.org.